GP Valkenswaard and Event Camping join hands! 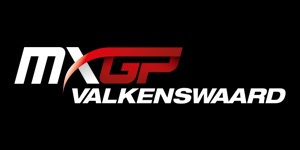 Valkenswaard – GP Valkenswaard and Event Camping join hands! After consultation with, among others, the municipality of Valkenswaard, the organization of GP Valkenswaard has decided to start a partnership with a professional organization, Event Camping. Event Camping is a full service specialist in the field of facilitating and creating temporary campsites. With the Benelux as their work area, they can unburden both municipalities and organizations when it comes to the total solution during each event. The Grand Prix will have the classes MXGP and MX2 on March 17 and 18, as well as the European classes EMX125 and EMX300 “, says Maarten Roos (organizer). “Just like every year, we are going to work full our enthusiastic team to make it a successful event again”, says Maarten Roos. From 10 March 2018 tickets will only be available at the box office. Keep an eye on our social media Facebook and Twitter!